Awan was a DNC contractor while Florida Congresswoman Debbie Wasserman Schultz was the head of the DNC. He has been the subject of a separate criminal probe since March for "committing serious, potentially illegal, violations on the House IT network," with the help of four accomplices, Politico reported in March. "The five current and former House staffers are accused of stealing equipment from members’ offices without their knowledge," the Politico report noted. "I knew right away something was wrong since they had government markings," said Andre Taggart, a former US marine and a tenant at a property owned by Awan, referring to electronics equipment. Taggart told the FBI and Capitol Police that hard drives, which had been "pried open," were located at the house owned by Awan and his wife Hina Alvi. Independent journalist George Webb explained the findings on Thursday’s episode of Fault Lines with Nixon and Stranahan on Radio Sputnik. ​At least one of the law enforcement agencies confiscated the hard drives following Taggart’s lead. Webb told Fault Lines he did not personally see any of the stolen electronics. On Monday, Awan was detained by the FBI at Dulles International Airport, en route to Pakistan by way of Qatar. Awan, his two brothers Abid and Jamal, spouse Hina Alvi, and close friend Rao Abbas have been targets of a federal criminal investigation since February. Webb visited each of Awan’s 12 houses. When he reached the last house he was greeted by Taggart, who explained that “[Awan] didn’t tell me that was his name, he told me his name was Alex, but now I know it’s Imran Awan,” recalled Webb. Webb asked Taggart if he noticed anything strange about the home. "He left stuff at the house,” Taggart told Webb. “There’s laptops, blackberries; a pile of blackberries.” Each device had government markings on it, Taggart said. 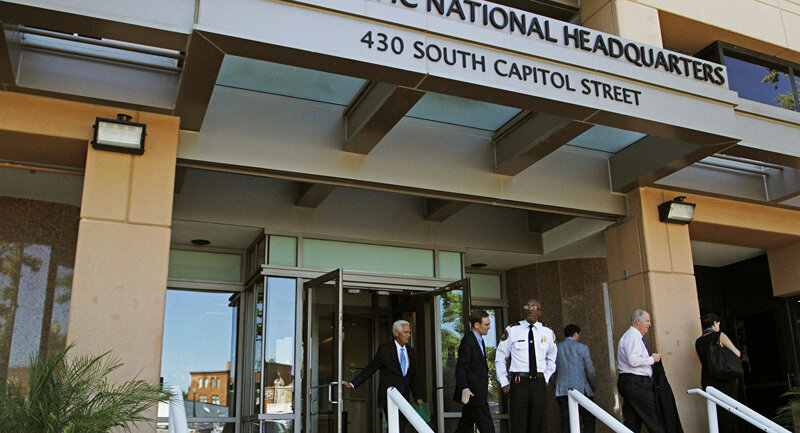 The marine called the Naval Criminal Investigative Service (NCIS), FBI, and US Capitol Hill police, worried that he might be accused of stealing government property. Officials eventually returned to pick up the materials. Politico reported in March that Alvi was fired from her role as an IT support staffer for Rep. Gregory Meeks, a New York Democrat. Imran Awan was also fired from Ohio Democrat Rep. Marcia Fudge’s support staff the same week. Wasserman Schultz retained Awan’s services until Tuesday, the day after he was arrested, even though he had been under criminal investigation for months. In March, Texas Congressman Louis Gomer asked, "Did [Awan] set up the DNC computer system that got hacked, that was supposedly hacked by Russians or others, did he set that up so it could be hacked?" "One of the reasons we’re the most disruptive show in America is because we cover stories the mainstream media simply ignores," Stranahan said. Fault Lines on Radio Sputnik features Lee Stranahan, a supporter of US President of Donald Trump, and Garland Nixon, a die-hard progressive Bernie Sanders backer who sits on the ACLU’s Board of Directors.